This means exactly what you think it means. From now on, while scrolling through your timeline, videos will automatically start playing. 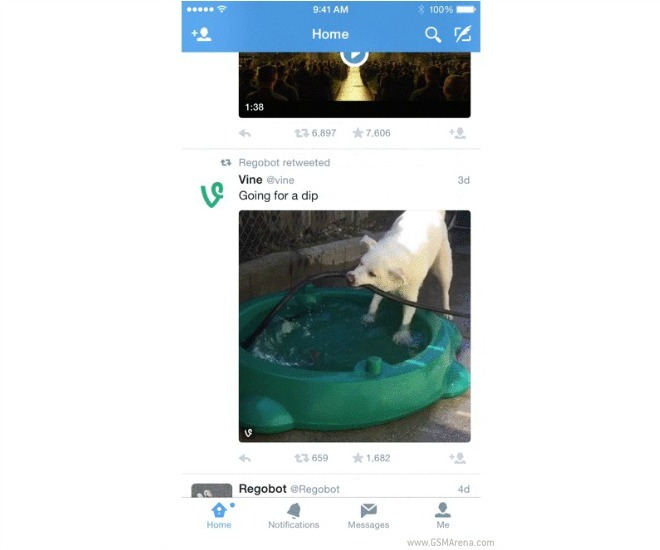 This works with native videos, Vines, and animated GIFs. So you’ll be spared an additional click or tap when you see some interesting video content. On the other hand, Twitter is aware of the fact that not everyone will like this feature, so it’s giving you a way to customize it. You can go back to no videos autoplaying if you so wish, but you can also choose to only have them start up automatically when you’re connected to Wi-Fi. This helps if you’re on a limited mobile data plan, of course. Interestingly, for people who are “somewhere with high data rates” or have low bandwidth, the new feature won’t be turned on by default. That said, it’s unclear what Twitter considers places with high mobile data costs. Like in the case of autoplay on Facebook or Instagram, sound will thankfully not start automatically. If you want to hear sound from an autoplaying video, you’ll still need to tap or click on it. Unless, that is, you’re using a mobile device and turn it to landscape while a video is autoplaying. In that case the video will go full screen and sound will automatically turn on too.